Can I use this model in the United States? No, this model is wired for international applications only and will not work in the United States. 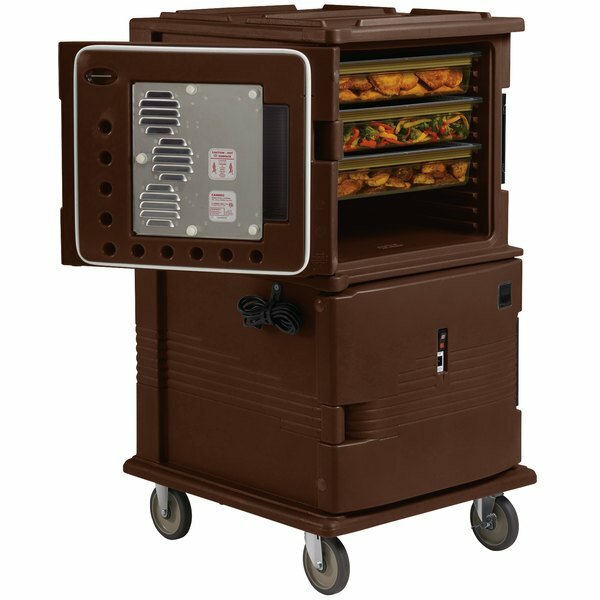 The Cambro UPCHT16002131 dark brown Ultra Camcart extends hot food holding time to ensure food safety! 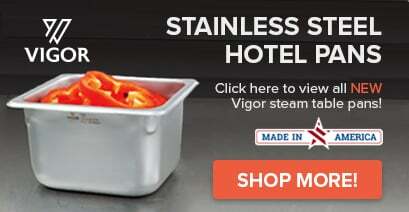 It features heat top compartment, as well as an unheated bottom compartment, with an insulated barrier between the two. It's perfect for transporting to off-premise events, corporate parties, delivering food from central kitchens to satellite locations, or longer catered events. After its 45-minute warm-up time, the Cambro UPCHT16002131 Ultra Camcart will maintain safe food holding temperatures for up to 4 hours once unplugged, thanks to its thick, foamed-in polyurethane insulation! This unit comes with a CEE7-7 plug.